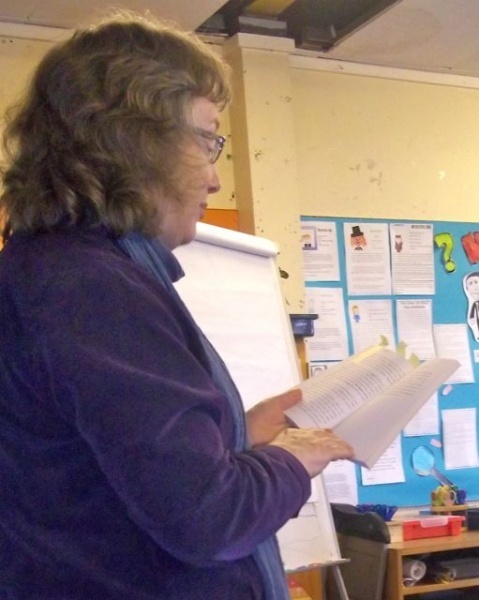 In the P6/7 class room the famous author Joan Lennon came in to talk to us about her exiting new books: The Case of the London Dragonfish, The Case of the Glasgow Ghoul and the Case of the Cambridge Mummy! In class we have been reading The Case of the London Dragonfish. We were asking her lots of questions like: What inspired you to write? ; What was your first book you wrote? And-What age were you you started writing? We found out lots of information! Next year I wish we will have another author as good as Joan Lennon. The author Keith Brumpton came to P45. He did some drawings. One was from Dino FC and the other one was from Kung Fu Pigs. I really like M.I. High because I like to read and I love secret agents. Keith is a great illustrator and author. I love all of his stories. On Friday Kieth Brumpton visited p4/5 to talk about his stories. One of the stories were Kung fu Pigs. I love it because pigs are awesome. I love Kieth brumpton because his stories are amazing. 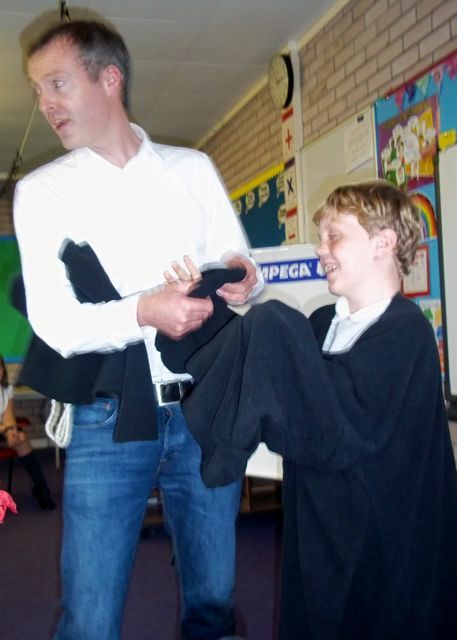 He was imaginative and he was very interactive with the audience. I loved his drawing of Kung Fu Pigs and Dino FC, then we drew our own Kungfu Pigs and Dino FC and he signed them. On the 8th and 9th September 2012 the book festival is coming to Port Ellen Primary School. The book festival will have many authors including Liz Lochhead, Joan Lennon, Keith Brumpton,Vivian French and Linda Strachan. To book go to www.islaybookfestival.com. The doors open at 10:00am on Saturday and 10:30am on Sunday. For the Islay book festival this year we had lots of visitors and authors. One was Ruth Rendell and another Allan Burnett, also John Fardell and Debbi Gliori. I went to see Allan Burnett and brought three books and got them all signed. I got to dress up as Columba again. I learned how to be an author and I love Allan Burnett’s books. Thank you to the Islay book festival.